Male hornet cleaning its front legs. 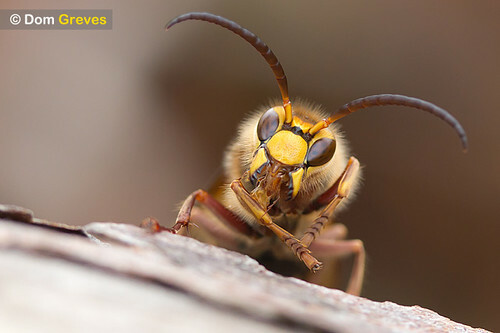 The hornet (Vespa crabro) is Britain’s largest wasp species. 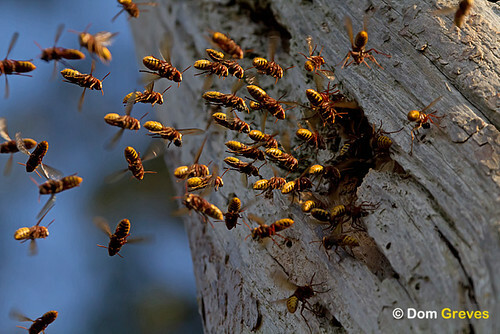 They prey on other wasps, honey bees, flies, butterflies, moths and spiders. Saplings are ring-barked to encourage sap flow, which is then collected. 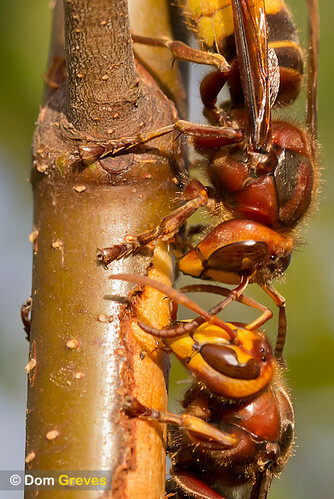 Hornets drinking sap from stripped birch sapling. 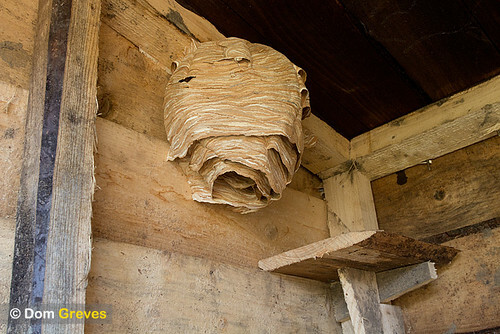 Nests are usually in aerial situations, particularly inside hollow trees, but also in attics and outhouses. Abandoned hornets’ nest in outside toilet. Despite their fearsome reputation hornets are actually remarkably docile creatures and I found them much less intimidating to photograph than their common wasp (“yellow jacket”) relatives. 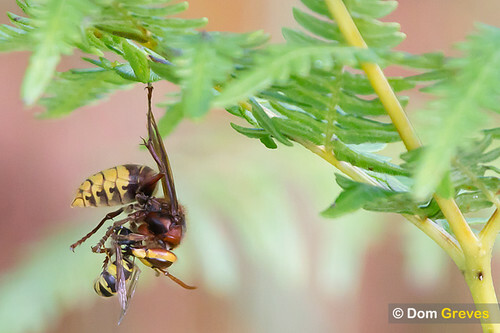 This entry was posted in Photography, Wildlife and tagged hornet, photography, vespa crabro, wildlife by Dom. Bookmark the permalink.